Despite claims that he would fight to the death on Libyan soil, Muammar el-Qaddafi transferred $4.8 billion of his personal holdings to London’s Mayfair private wealth manager last week, according to The Times (via @sultanalqassemi). 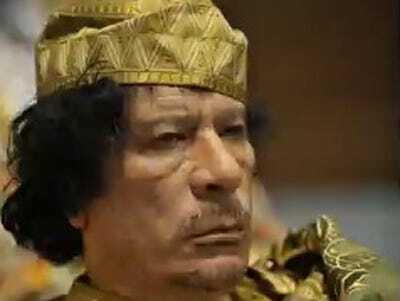 The secret transfer was identified by the UK Treasury, which has said it will freeze all Qaddafi family assets in the country — which already equaled around $32 billion. Switzerland has also said it would freeze Qaddafi assets.